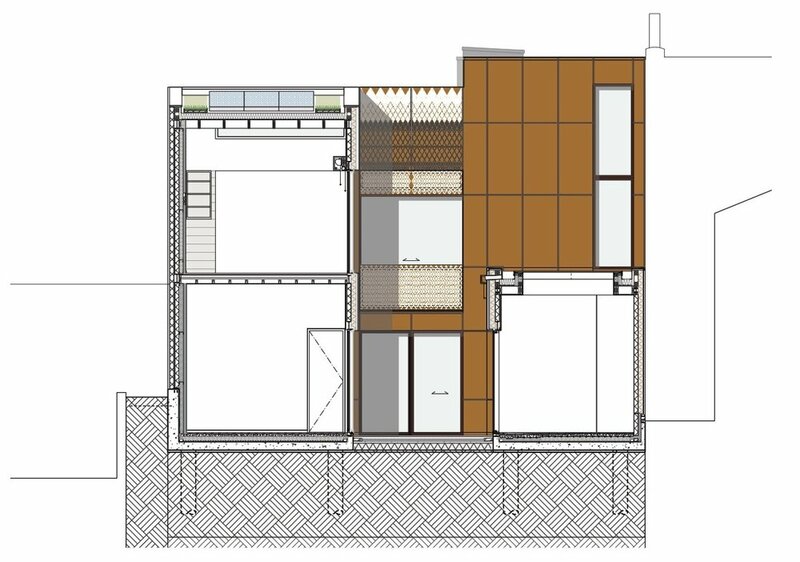 A new, family home on an infill site in East London. The Clapton house is a three-bedroom infill family house on a tight site in the Chatsworth Road area of Hackney. 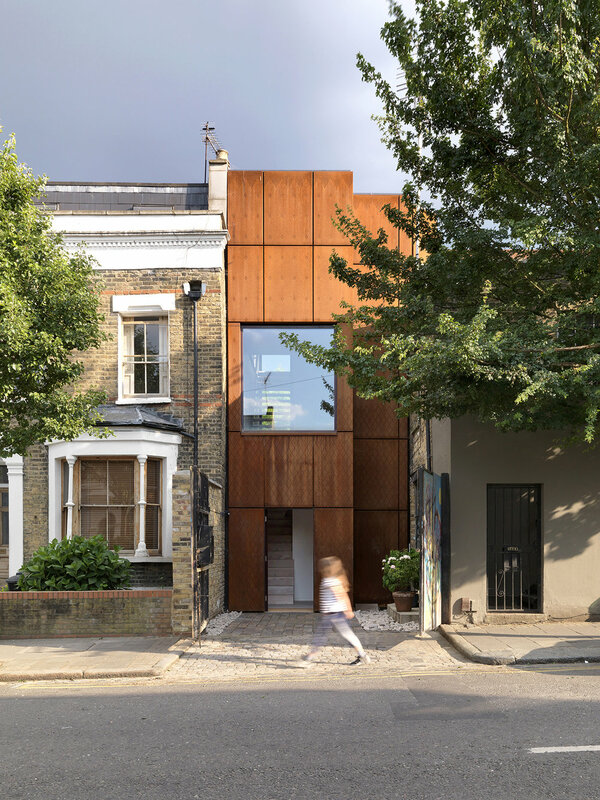 The corten steel clad home negotiates 11 separate boundaries and has a street frontage of only 3.5m. 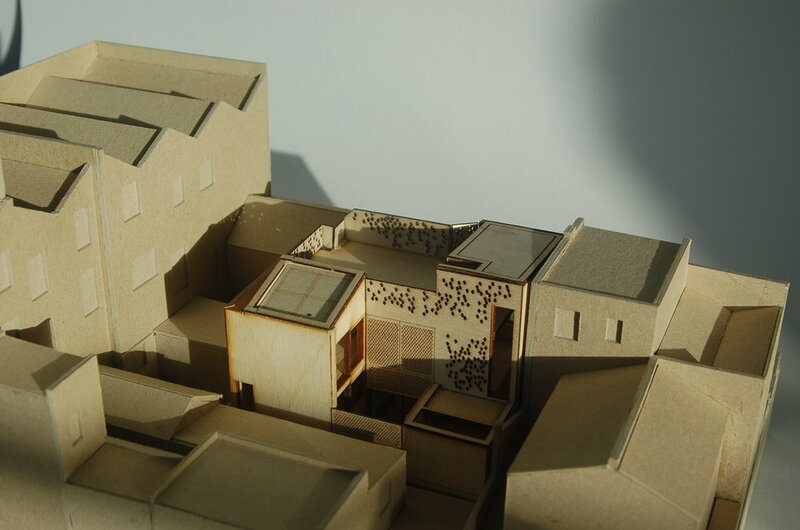 It is set back from the street, in line with the adjacent terrace and manages to successfully insert three stories of accommodation arranged around a rear courtyard. The house plays with scale; using oversized windows and openings to create a greater feeling of space across the courtyard, picking up precious longer views to the north and a providing a strong connection to the street. The perforated weathered steel facade is both intricate and dramatic; casting patterns on internal surfaces and filtering direct sunlight, creating an appropriate domestic solution from a raw material finish. Entering through a small front yard, the hallway leads onto three ground floor bedrooms around the courtyard. On the first floor, where the family congregates, the client wished for as much height as possible; the trick is pulled off by connecting a series of distinct areas defined by changes in levels, scale and height. These allow for different spatial scenarios and occupation; through the dining area and kitchen and up onto a higher platform living area. The second floor, at the top of the staircase, is an office for the post-production client and leads onto an expansive roof deck; sitting between the roof tops and surrounded by its three and four storey neighbours. The project won the People’s Choice and was commended in the Hackney design awards 2018.